Generally, our mission is to help you grow your net worth and protect your assets and to do so in a manner consistent with your goals and values. Through planning, consulting, and implementation services, we can help you with areas such as general financial planning, estate planning, retirement planning, investments, insurance, asset protection, and business succession planning. As licensed financial advisors, we specialize in the development and implementation of comprehensive plans and strategies designed to help you meet your financial goals. Our clients include individuals, families, businesses, corporate executives, professionals, and retirees. We can serve you by using both traditional and innovative strategies to develop an overall plan that maps out and enhances your financial picture. 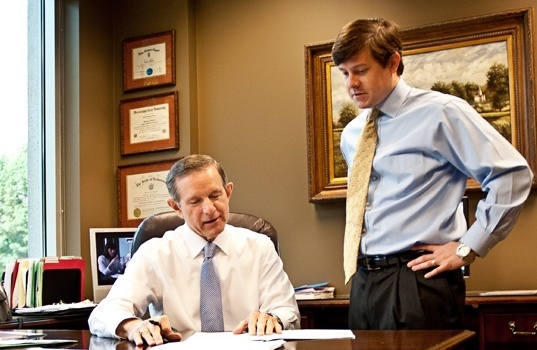 As required, in all of our services we work closely with your attorney and CPA. Or, we can assist you with specific financial and business transactions such as a rollover of 401(k) funds to an IRA, purchasing a life insurance policy or a long-term care insurance policy, assisting a surviving spouse in the administration of a deceased spouse’s estate, establishing a college fund for a child or grandchild, assisting an heir in establishing an investment plan for inherited assets, and helping with numerous other specific matters. We listen to you first. Then we create an effective financial strategy designed to meet your goals and needs. We combine creativity with discipline to offer you an array of opportunities. At the same time, we stay focused on your needs. We perform the analysis and take the time required to match appropriate strategies with the right products, techniques, and services. We are comprehensive, simple, and effective. We are responsive. This means we take timely action steps, we answer or return phone calls and emails promptly, and act well in advance of deadlines. Investment allocation/diversification tools, techniques to determine risk tolerance, and an excellent array of investment products including money managers, mutual funds, stocks and bonds, brokerage accounts, annuities, private placement opportunities, REITs, and others. Insurance products and strategies, including not only traditional techniques and products, but also second-to-die life insurance policies, buy/sell funding, disability income policies, long-term care policies, and others. We represent numerous major insurance companies. Estate planning strategies, including traditional and advanced techniques, i.e., GRATs, QTIP trusts, family limited partnerships, charitable trusts, life insurance trusts, etc. Individual and corporate retirement plans. We can offer turnkey plans or just handle the investment aspects only. We know how to guide and assist you in making sound decisions that will allow you to achieve your financial goals. We will treat you as an important client. We will provide comprehensive financial planning and strategies, as needed and appropriate. We will be men of integrity and men of high ethical and moral standards. We will be advisors that can be trusted. Consideration of income taxes on all matters, seeking to achieve tax-effectiveness where possible. Handling special needs of widows, widowers, and divorcees. Working directly with you and your attorney in the development and execution of wills or living trusts, powers of attorney, and living wills. Educating clients to assure that actions taken and documents provided are understood.